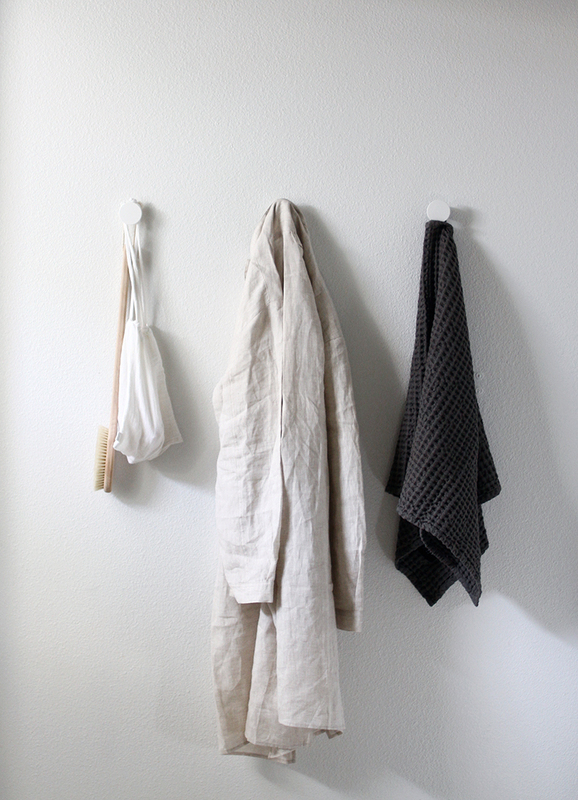 Over the past few years I've grown a fondness for linen. Maybe you've noticed here and there on the blog I post photos of my linen bedding or throw pillows or the material shows up in a 'wishlist' item as well. I didn't always love the wrinkly, textured fabric though. Years ago one of my first jobs was at a department store. I remember one of my first impressions of linen was not too positive after our visual merchandiser referred to line as the "devil's fabric". She disliked how quickly a pattern of wrinkles spread across the surface after she had spent a substantial amount of time patiently steaming it and it left a negative sentiment with me for a long time after. Of course I understand why she would have felt that way but to try to smooth out the creases of linen entirely is to try to make it something it is not. Now though, I love this imperfection. It is organic and raw and characteristic of something worn yet classic. It can look both new and old and it also photographs well with its many peaks and valleys where shadows can hide. 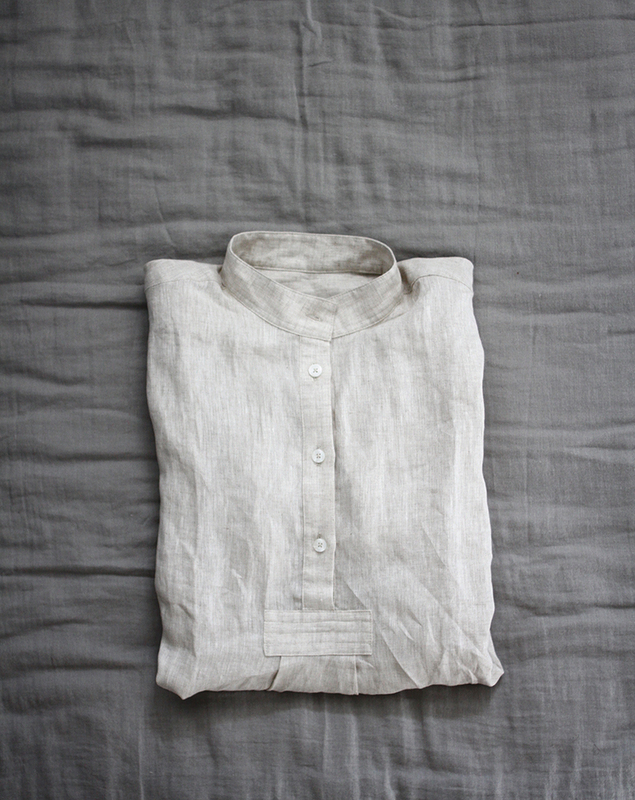 When I was introduced to these beautiful sleeping shirts made of linen and cotton I immediately saw the lovely "imperfections" it would take on from wear, sleep, wash. I saw this as a beautiful feature that makes these simple garments feel so rich and sort of nostalgic. Timeless might be the word I'm after. 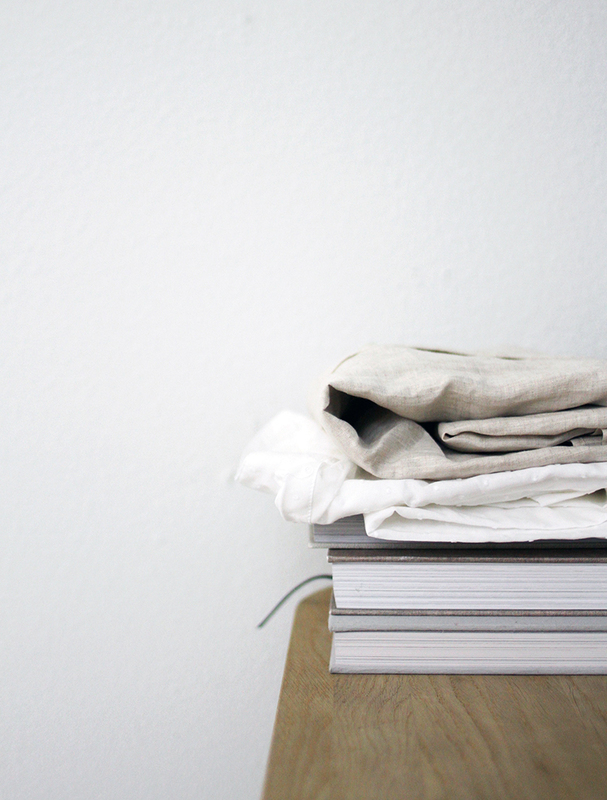 I took a few photos in my own bedroom of an oatmeal linen and cotton swiss dot shirts. Looking at these I imagine an idyllic morning of slow homemade food with fresh coffee or a quiet afternoon, when the kids are magically napping at the same time, the sun beams in through the windows. Or maybe I wanted to give my mom or sister a gift, the kind of gift that makes them feel a little luxurious. If the perfectly comfortable, matching underwear has that way of making your outfit feel secretly more put together, maybe the perfect sleepwear makes your sleep that much more peaceful. Check out The Line for a nice range of their products and these shorts! 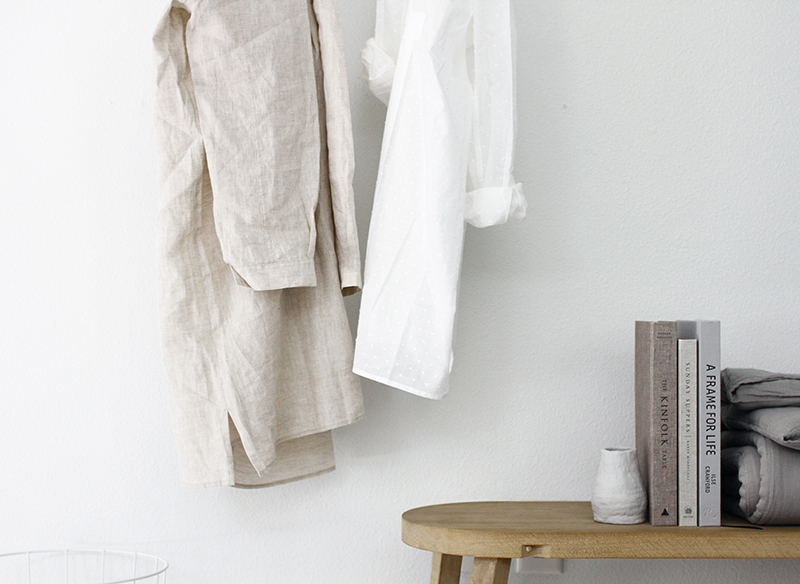 I definitely am in favor of a linen shirt as a "sleep shirt" or part of a lounge wardrobe. And I love how you say, " It can look both new and old and it also photographs well with its many peaks and valleys where shadows can hide." -- so poetic. Thanks for sharing! These look super comfy and lovely too! 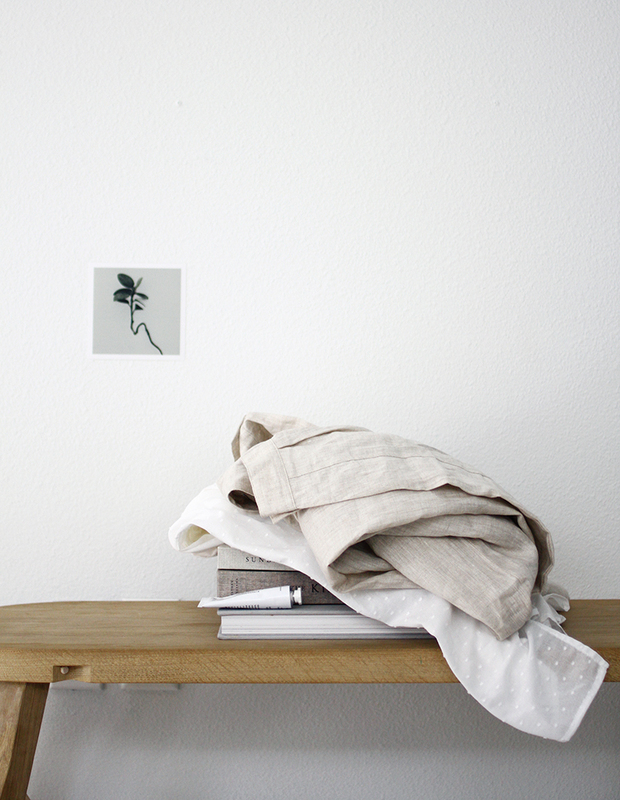 Linen is the best for sleeping especially in summer. 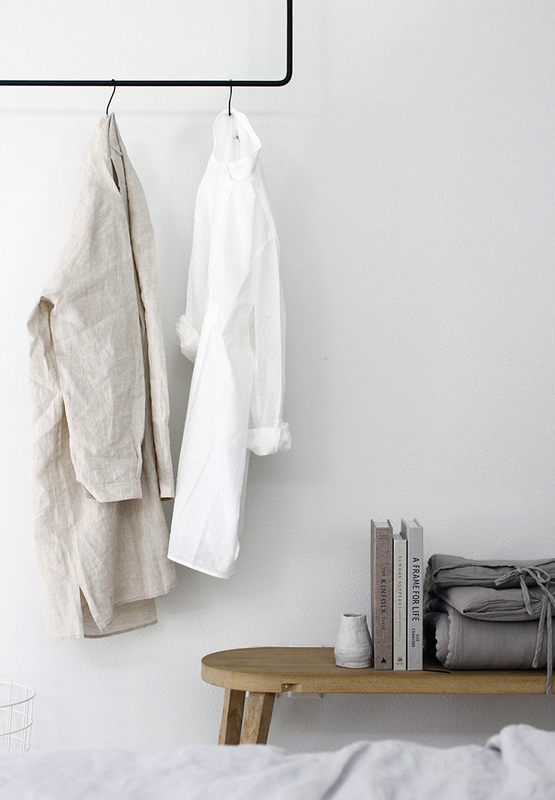 Love it, can not live without linen!